110 years ago, Nicole Tesla had dreamt of a system which can transmit power wirelessly and solve entire World’s energy crisis. Tesla, who is regarded as the God father of Alternate Current and Radio would have been extremely happy to note that his dreams are finally coming true. 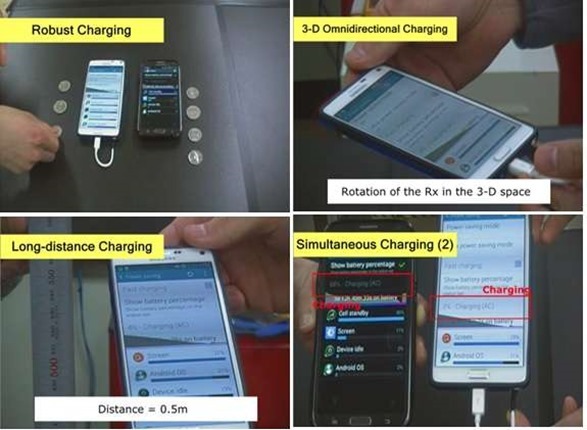 Researchers at Korea Advanced Institute of Science and Technology (KAIST) have successfully developed a system, through which 30 mobiles with power capacity of 1 watt each or 5 laptops with power capacity of 2.4 watts each be simultaneously charged, even if they are at a distance of 0.5 meter from the power source. And the best part is that, the mobiles or the laptops need not be positioned at a specific direction: the whole system is omni-directional, which means that no matter which position the mobiles and/or laptops are kept, it will be charged, as long as they are within the Wireless power zone or Wi-Power area, as they are calling it. The whole set-up seems similar like a WiFi zone created for transmitting Internet connectivity, wherein the direction or the position of the recipient device doesn’t matter. There exist few options as of now, when it comes to wirelessly charging mobile phones. However, the biggest problem with the existing devices is the positioning requirement: the devices should be positioned at one particular direction in order to receive the transmitting energy. The reason behind this is that, the recipient mobile can only be positioned within 10 cms (average) of the transmitting device or the charging pod. For example, Samsung Galaxy S6 can be wirelessly charged only in one, fixed direction as it have only one degree of freedom (degree of freedom represents the freedom of movement attained by a mobile in a three dimensional space). 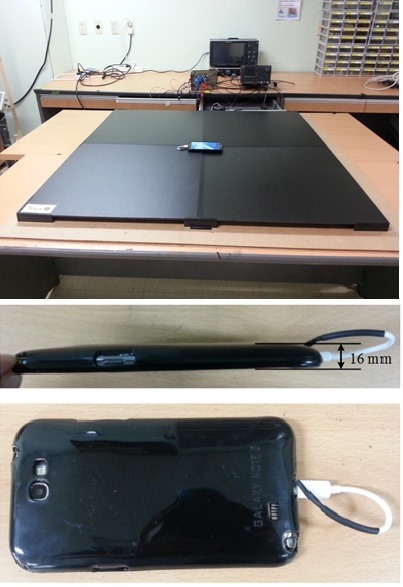 The Omnidirectional Free Space Wireless Charging developed by the KAIST researchers attains 6 degrees of freedom; which in layman terms means that even if the mobile phone is suspended in mid-air, or in any three dimensioned space, positioned at any direction from the power source, it will receive the transmitting energy. The researchers have used the advanced Dipole Coil Resonance System or DCRS, which induces low magnetic field environment, which doesn’t get obstructed due to presence of humans or metal objects in between. The same team of researchers had developed this transmitting device for wireless energy last year, when Professor Rim, head of this team, successfully transmitted 209 watts of energy to a distance of 5 meters. KAIST’s spinoff company Tesla Inc. and the team of researchers are now conducting more tests, before this futuristic system can be installed at public places, offices and residential areas. Here is the official press release from KAIST regarding this invention.